Most gloves with excellent mechanical resistance are too bulky to be suitable for fine handling tasks. 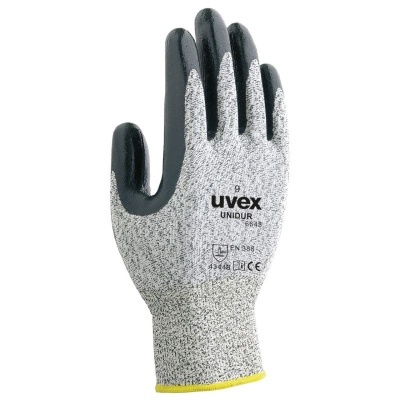 The Uvex Unidur 6643 Cut Resistant Gloves combine outstanding levels of resistance against abrasions, cuts, tears and punctures, while their thin and lightweight design provides excellent dexterity and touch sensitivity. The Unidur 6643 Cut Resistant Gloves are available in four sizes that should suit the hands of most users. Please measure the circumference of your hand around the knuckles (excluding the thumb) with your hand open and your fingers together, and the length of your hand from the tip of your middle finger to your wrist.